To give you an idea of what these codes mean, we’ve highlighted some of the most common error codes in a range of washing machines, below. F10 – no cold fill; check the taps to the inflow pipes are on and the drain hose is attached. F15 – water not being pumped out. Check the drainage hose is raised to its minimum height. F16 – extremely high water levels; turn off and disconnect the water supply. F17 – door not closed properly; check for any obstructions and remove as required. F20/21 – thermometer resistance has drifted or the temperature sequence is incorrect. F01 – there’s a fault with the electronic circuit board. 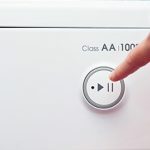 Disconnect the appliance from the mains for two minutes, reconnect to the mains and wait 30 seconds before turning the washing machine back on. For a more comprehensive list of Hotpoint error codes, visit our “Hotpoint Washing Machine Error and Fault Codes” advice centre article. OE – an output error preventing the machine from being able to empty. Check the pump and filter for any blockages or damage. IE – an input error has been detected when the machine has tried to fill with water. Check for a kink in the hose, as well as obstructions to the valves inside the appliance. SE – motor sensor error; check the sensor itself and its connections to ensure they’re intact. If the problem persists, check the control panel. FE – machine has overfilled; turn off the water supply and check the valves. It’s also advisable to check the pressure hose and switch to ensure it’s not damaged. E01 – there’s an issue with the lock, its wiring or connection to the control board. Check the door is closed properly and the wiring is intact. E02 – the machine has failed to fill with water during its allocated time. Check the mains water pressure, by turning on the sink taps and checking for the usual pressure, if this is ok check the inlet hose for kinks, the pressure switch and inlet valve. E03 – the machine has not been able to drain in its allocated time. Check the filter and drain hose aren’t blocked or obstructed, the drain pump is not defective and the level sensor is working. E04 – highlights an issue with the anti-flood and may also indicate a leak. Check the water inlet valve is locked open and the pressure switch is not defective. E08 – problem with the motor speed sensor; this can result in the motor spinning at very high speeds for a few seconds before slowing down and stopping. The fault may also prevent the motor from spinning at all. For a more comprehensive list of Hoover error codes, visit our “Hoover Washing Machine Error Codes” advice centre article. E10, E11 & E12 – issue relates to the filling of the machine and this likely to be due to a blocked or trapped pipe, a problem with the valves, pressure switch or a blocked pressure hose. E21, E22, E23 & E24 – issue relates to the draining of the appliance. The likely cause is to be a blockage, and we recommend checking the filter and pump for any signs of debris or damage. E30 & E31 – these codes relates to errors with the door lock. Check the door lock and its connectors for signs of damage. E93 – E97 – error codes from E93 to E97 relate to faults with the PCB or memory. If the error persists you may need to purchase a new control board. If you’d like a detailed list of Zanussi error codes read our “How to Identify Zanussi Error Codes” article. 01 – indicates a fault with the water level. Check the water supply and that the hoses aren’t trapped, kinked or damaged hoses. 02 – the fault lies with the heater, preventing the water from getting up to temperature. Check the resistance of the heater element using a multi-metre and if required, replace the element. 08, 16 & 34 – these three codes indicate an error with the door lock. It’s recommended to check the door closes properly. It’s also recommended to check the door lock itself for signs of damage, and the electrical connections. 03 & 18 – these error codes relate to a fault with drainage. It’s recommended to check the pressure switch is on full and the pump isn’t blocked by any debris. 04, 05, 21, 42, 43 & 44 – these six error codes relate to faults with the motor. Check the carbon brushes for wear and the electrical plug for damage. If the motor is spinning too high, check the tacho connection. The tacho connection is a coil which is fitted onto a motor to monitor the rotation and speed of the motor. If the problem persists, check the PCB. Find out a more comprehensive list of Bosch, Neff and Siemens error codes, within our “Bosch, Neff, Siemens Error Codes” article. 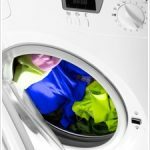 Knowing the various fault codes that may appear on your washing machine will help you keep your appliance running to its peak performance. 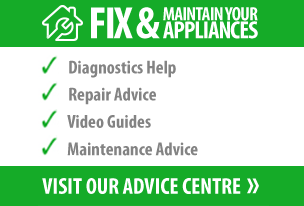 And in those instances where a new part is required to get your appliance up and running, you’ll be able to find it at BuySpares.